Representatives from ONC, Centers for Medicare & Medicaid Services (CMS), Office for Civil Rights (OCR), and other Federal agencies will be at HIMSS to share information about their health IT initiatives. Below are highlights from the HIMSS schedule of events. For a complete list of participating Federal agencies and their educational sessions, visit the Federal section of the HIMSS12 website. CMS and ONC will be presenting on special topics in health IT and meaningful use at the theater booth in the HIMSS exhibit hall. ONC’s Regional Extension Centers, Beacon, and Workforce programs. If you are not already a member of our LinkedIn group, or following us on Twitter (@ONC_HealthIT), sign up today to join the discussion! Don’t forget to check out Scribd to download handouts from HIMSS! 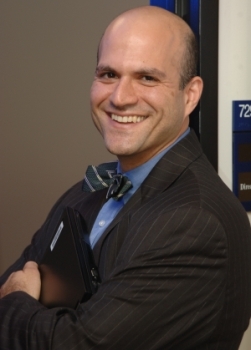 June 10, 2011, 2:45 pm /Posted by Steven Posnack, Director Federal Policy Division, ONC, on ONC’s Health IT Buzz blog and republished by e-Healthcare Marketing here. If enough people believe something, it has to be true, right? In my travels, I’ve found that regulatory interpretations range from being largely factual to wildly fictitious. The latter often results from misinterpretations of regulatory language, improper combinations of regulatory language from different rules, or accurate interpretations getting lost in translation as they are passed from person-to-person. These inaccurate interpretations, intentional or not, often unsurprisingly lead to confusion. Accordingly, I thought it would be helpful to clear up a few things I’ve heard related to certification. Part 2 of the definition of Certified EHR Technology acknowledges that a combination of certified EHR Modules can be used to meet the definition of Certified EHR Technology. At 75 FR 2023, we clarified that as long as each EHR Module which makes up the combination has been certified, the definition could be met. See also FAQ 17. Combining certified EHR Modules or certified EHR Modules with a certified Complete EHR (or even two certified Complete EHRs) will not invalidate the certification assigned to the EHR technologies. Each EHR technology retains the certification assigned to it. Our FAQs (such as #7, #14, and #21) identify cases where combining certified Complete EHRs with other certified EHR Modules could occur without any negative effects. 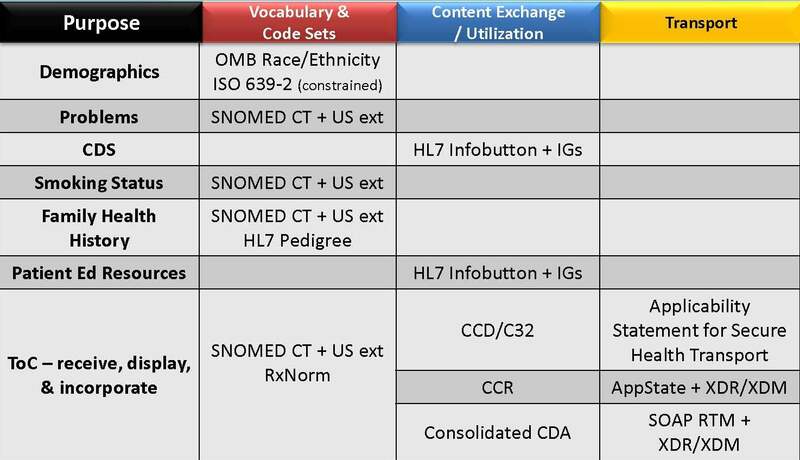 Note, generating the “CMS EHR Certification ID” on ONC’s Certified HIT Products List (CHPL) for meaningful use attestation purposes is different. Using the CHPL, an eligible professional (EP) or eligible hospital (EH) generates a CMS EHR Certification ID (a unique alpha-numeric string) to report to CMS as part of its attestation. The CMS EHR Certification ID represents the combination of certified EHR Modules or other combination of certified EHR technologies that meet the definition of Certified EHR Technology and were used during the meaningful use reporting period. 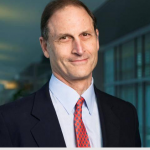 ONC-ATCBs do not receive funding from ONC to perform their ONC-ATCB duties. ONC-ATCBs support their operations through testing and certification fees charged to Complete EHR and EHR Module developers. The Temporary Certification Program Final Rule established certain responsibilities and rules for ONC-ATCBs. 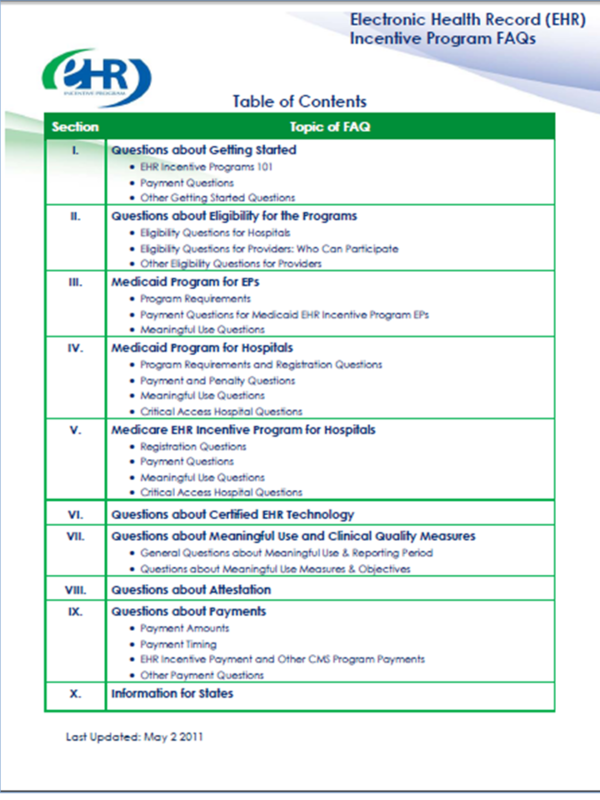 ONC-ATCBs must fulfill these requirements and adhere to the rules in order to maintain good standing under the program. For example, ISO/IEC Guide 65 requires ONC-ATCBs to make their services accessible to all applicants (e.g., EHR developers) whose activities fall within its declared field of operation (e.g., the temporary certification program), including not having any undue financial or other conditions. 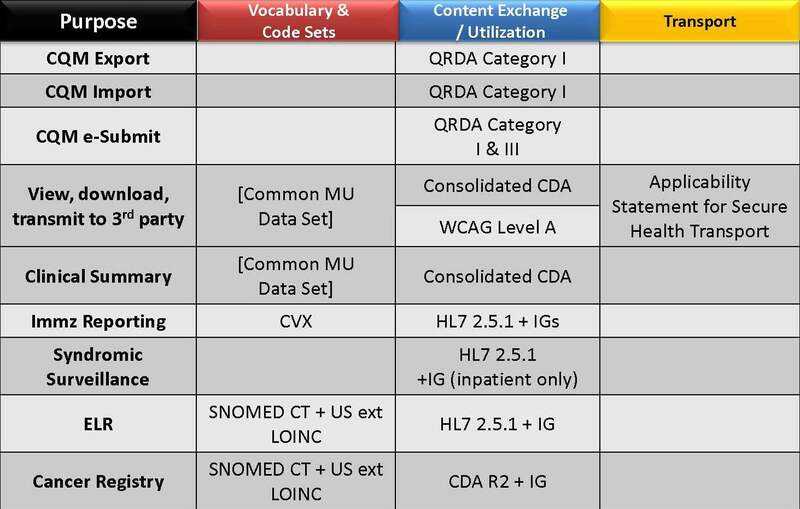 ONC-ATCBs are not required to examine the compatibility of two or more EHR Modules with each other. 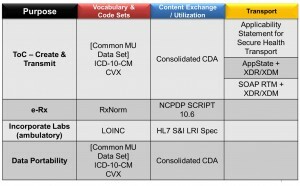 EHR Module developers, however, are free, and highly encouraged, to work together to ensure that EHR Modules are compatible. The ONC-ATCBs do not favor large developers, and such favoritism is precluded by the international standards to which ONC-ATCBs must adhere. As of June 3, 2011, 438 EHR technology developers were represented on the CHPL. Of those, approximately 60 percent are small companies (<51 employees) and approximately 12 percent are large companies (>200 employees). We are very interested in exploring future certification requirements to improve data portability. If you have any insights on how to improve data portability between EHR technologies, please feel free to leave a comment below. A certification represents a “snapshot.” It indicates that EHR technology has met specific certification criteria at a fixed point in time. In other words, an EHR technology would not “lose its certification” after a given time period. If, however, certification requirements change (e.g., new and/or revised certification criteria are adopted), the snapshot the certification represents would no longer accurately reflect that the EHR technology meets the changed requirements. In our certification program rules, we indicated that we anticipated adopting new and/or revised certification criteria every two years to coincide with changes to the meaningful use objectives and measures under the Medicare and Medicaid EHR Incentive Programs. We did not, however, set a specific expiration for certifications. Rather, we explained that once the Secretary adopts new and/or revised certification criteria, EHR technology may need to be tested and certified again. In other words, the previously taken snapshot would no longer accurately represent what is required to meet the adopted certification criteria and, thus, would no longer be sufficient to support an EP or EH’s ability to achieve updated meaningful use requirements. For more information about the validity of a certification, please refer to the Temporary Certification Program final rule (75 FR 36188) and the Permanent Certification Program final rule (76 FR 1301). As someone who has played a roll in drafting all of ONC’s regulations, I take pride in making our rules readily understandable and as easy to read as possible. Sometimes, though, no matter how hard we try to convey a regulation’s intent, there is always another believable interpretation. Hopefully, this blog helps clear up a few points and furthers your personal understanding of our rules. 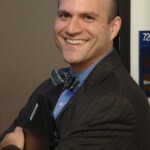 To post comments directly on ONC’s Health IT Buzz blog post, click here. Since May 2 PDF, some FAQs have updated electronically on CMS Web site, and links to online FAQs are below. Leading FAQs: When’s the money coming for Eligible Professionals under the Medicare Program? Medicaid Programs are rolling out on state-by-state basis. For the 2011 payment year, how and when will incentive payments be made to Eligible Professionals? For the 2011 payment year, how and when will incentive payments for the Medicare Electronic Health Record (EHR) Incentive Programs be made? For eligible professionals (EPs), incentive payments for the Medicare EHR Incentive Program will be made approximately four to eight weeks after an EP successfully attests that they have demonstrated meaningful use of certified EHR technology. However, EPs will not receive incentive payments within that timeframe if they have not yet met the threshold for allowed charges for covered professional services furnished by the EP during the year. Payments will be held until the EP meets the $24,000 threshold in allowed charges for calendar year 2011 in order to maximize the amount of the EHR incentive payment they receive. If the EP has not met the $24,000 threshold in allowed charges by the end of calendar year 2011, CMS expects to issue an incentive payment for the EP in March 2012 (allowing 60 days after the end of the 2011 calendar year for all pending claims to be processed). Payments to Medicare EPs will be made to the taxpayer identification number (TIN) selected at the time of registration, through the same channels their claims payments are made. The form of payment (electronic funds transfer or check) will be the same as claims payments. Bonus payments for EPs who practice predominantly in a geographic Health Professional Shortage Area (HPSA) will be made as separate lump-sum payments no later than 120 days after the end of the calendar year for which the EP was eligible for the bonus payment. Please note that the 90-day reporting period an EP selects does not affect the amount of the EHR incentive payments. The Medicare EHR incentive payments to EPs are based on 75% of the estimated allowed charges for covered professional services furnished by the EP during the entire payment year. If the EP has not met the $24,000 threshold in allowed charges at the time of attestation, CMS will hold the incentive payment until the EP meets the threshold as described above. 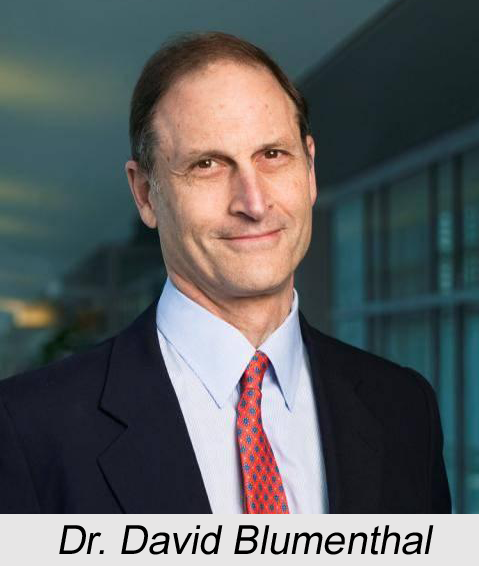 Medicare EHR incentive payments to eligible hospitals and critical access hospitals (CAHs) will also be made approximately four to eight weeks after the eligible hospital or CAH successfully attests to having demonstrated meaningful use of certified EHR technology. Eligible hospitals and CAHs will receive an initial payment and a final payment. Eligible hospitals and CAHs that attest in April can receive their initial payment as early as May 2011. Final payment will be determined at the time of settling the hospital cost report. Please note that the Medicaid incentives will be paid by the States, but the timing will vary according to State. Please contact your State Medicaid Agency for more details about payment. When will CMS begin to pay incentives to EPs, eligible hospitals, and CAHs for using certified….. When will the Centers for Medicare & Medicaid Services (CMS) begin to pay incentives to eligible professionals (EPs) and eligible hospitals and critical access hospitals (CAHs) for using certified electronic health record (EHR) technology? Payments for the Medicare EHR Incentive Program are expected to be available as early as May 2011. Attestation for the Medicare EHR Incentive Program opened on April 18, 2011. Registration for the Medicare EHR Incentive Program began on January 3, 2011 and is available online at https://ehrincentives.cms.gov. Please note that although the Medicaid EHR Incentive Programs began January 3, 2011, not all states are ready to participate at this time. 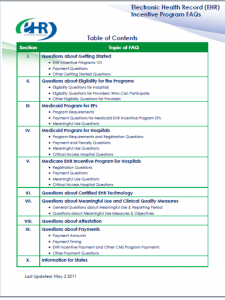 Information on when registration will be available for Medicaid EHR Incentive Programs in specific States is posted at http://www.cms.gov/EHRIncentivePrograms/40_MedicaidStateInfo.asp. For more information about the Medicare and Medicaid EHR Incentive Program, please visit: http://www.cms.hhs.gov/EHRIncentivePrograms. With the new year, we are turning the page to a next chapter in our journey to adoption and meaningful use of health information technology (HIT). As we begin this chapter, ONC is accelerating progress with new funding for programs vital to our goals. No doubt the “star player” in 2011 is the Medicare and Medicaid Electronic Health Records (EHR) Incentive Programs. As of this year, providers can begin qualifying for significant payments through Medicare and Medicaid, as they achieve meaningful use objectives. But equally important are the “supporting players.” These are the programs created under the HITECH Act to help providers adopt and achieve meaningful use of EHRs through technical assistance, through information exchange, and through development of a new workforce of HIT specialists. We funded 62 Regional Extension Centers (RECs) across the nation to provide technical assistance, especially for smaller practice primary care providers, rural hospitals and other settings which serve the underserved. We want the RECs to assist at least 100,000 primary care providers. And already, some 38,000 primary care providers have enrolled for REC assistance. We created a state grant program to support health information exchange (HIE) and facilitate all the potential uses and benefits of secure information sharing. Already, approved HIE implementation plans are in place in 25 states. We funded 84 community colleges to train HIT specialists that will help to meet the anticipated national shortage of 50,000. The first 3,400 students will graduate by May, 2011 – and with excellent job prospects. For the RECs, we are providing additional funding of $32 million. This especially reflects our plan to accelerate outreach to health care providers to encourage registration for the CMS Incentive Programs and to provide more support in the field as providers adopt health information technology in their practices. We recognize that the early transition to HIT can be challenging and we want to make sure that our RECs are fully operational to help make this transition as smooth as possible. We are committed to offer substantial ongoing support to achieve meaningful use through the RECs. For HIE, we are providing $16 million in new Challenge Grants to encourage breakthrough innovations for health information exchange that can be leveraged widely to support nationwide health information exchange and interoperability. The HIE Challenge Grant Program is providing 10 awards of between $1 and $2 million to State HIE Cooperative Agreement Program grantees, to develop innovative and scalable solutions in five key areas: achieving specific health goals, improving care transitions, consumer-mediated information exchange, enhanced querying for patient care, and fostering distributed population-level analytics. For community colleges, $32 million in second year funding is being provided to continue academic HIT programs training the specialists needed to make rapid adoption and meaningful use possible. We remain on track to ramp up and graduate an estimated 10,500 students a year through our community college programs. In playing their part for HIT adoption and meaningful use, every awardee in our supporting programs is a star! Awardees and funding amounts for these programs can be found at http://healthit.hhs.gov. The Office of the National Coordinator for Health Information Technology (ONC) encourages you to share this information as we work together to enhance the quality, safety and value of care and the health of all Americans through the use of electronic health records and health information technology. For more information and to receive regular updates from the Office of the National Coordinator for Health Information Technology, please subscribe to our Health IT News list. See list of newly awarded challenge grants to state HIEs on e-Healthcare Marketing. 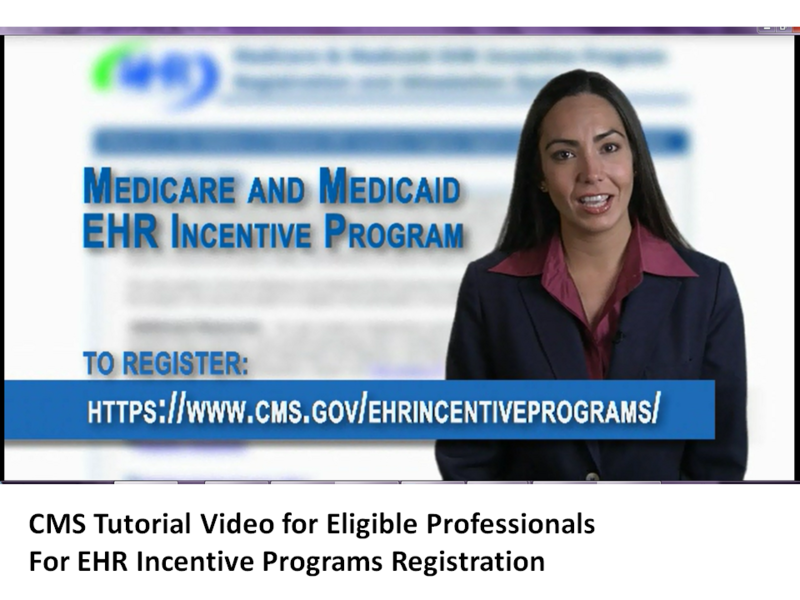 Centers for Medicare and Medicaid Services (CMS) has produced an 11-minute step-by-step video tutorial for registration for the EHR Incentive Payments Programs for Eligible Professionals. Per CMS “This tutorial video will provide Eligible Professionals with a step-by-step guide to help ensure the registration process is a success.” This may take several minutes to download. Clicking on the title immediately above or the photo will start downloading the video. A transcript of this webinar is available [PDF] . TexasOther states likely will launch their Medicaid EHR Incentive Programs during the spring and summer of 2011. For more information about expected Medicaid EHR Incentive Programs see State EHR Incentive Program Launch Times and HIT Websites. 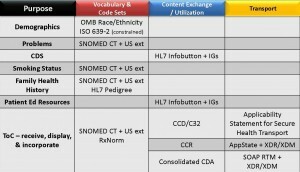 This post contains excerpts from the CMS EHR Incentives Payment Program, accessed on 1/19/2011. Wednesday, January 12th, 2011 | Posted by: Julie Franklin CMS and Peter Garrett ONC on ONC’s Health IT Buzz blog and republished here by e-Healthcare Marketing. ONC has also funded 62 Regional Extension Centers, located across the country, to offer customized, on-the-ground assistance for providers who need help adopting and meaningfully using certified EHR technology. What resources or tools from ONC, CMS, or other organizations have you or your practice used to help you become a meaningful user? What challenges have you faced on your road to meaningful use? We encourage you to start a dialogue and share your comments [on the ONC site]. Please share your comments directly on the ONC Health IT Buzz blog post.